A Christian group, Koinonia Ministerial Network, (KONMET) has advised Christians to participate in politics by joining political parties ahead of the coming elections. Konmet urged Christian leaders to encourage their followers to register to vote in the 2019 elections. The group gave the advice in a statement made available to The Nation today, following its first quarterly prayer retreat held between January 21 and 23, 2018. It said: “The fellowship advised all Christian leaders to mobilise their followers to take active part in politics by joining any political party of their choice and registering as card carrying members of such parties. 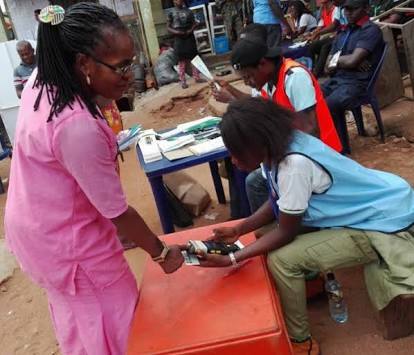 “Also, it is important for Christian leaders to encourage their followers who are 18 years’ old and above to get their Independent National Electoral Commission (INEC) voters card particularly now that the 2019 elections are around the corner and INEC is moving from Ward to Ward registering prospective voters." Konmet expressed worry about “the growing level of insecurity and wanton killings of innocent Nigerians, particularly Christians, by Fulani herdsmen. The group condemned the killings and urged its followers to boycott beef as a protest against the violence and in solidarity with the dead. Konmet said: “All Christians in Nigeria should truly stop forthwith eating of cow meat (beef) … in protest of the fact that the Fulani herdsmen value the life of a cow more than that of a human being which is the reason behind their killing people when they lose one of their cows. It advised the Federal Government to respect the Nigerian Constitution which recognises Nigeria as a secular state. Konmet added: “We appeal to the Federal Government to call the killer Fulani herdsmen to order to avoid turning our beloved nation into a battle field.